Pretty much what the headline says. Following a first-week total of 86,735 total sales, the movie added an additional 29,558 units to its US sales total (now 118,280) in the week of October 13-19. 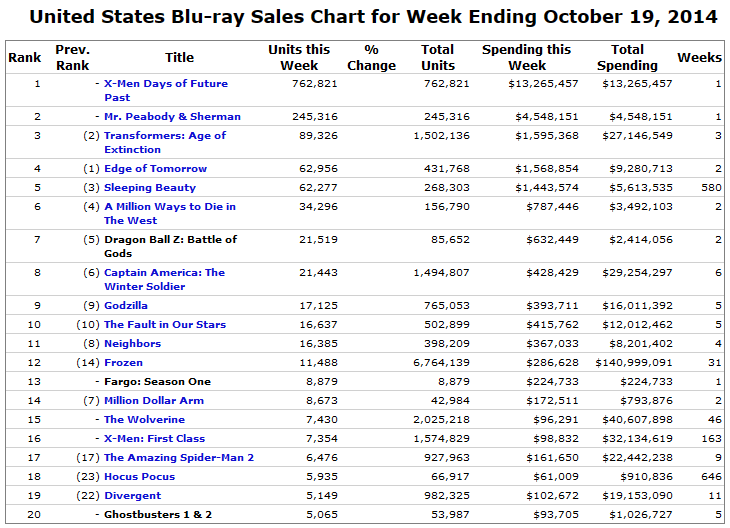 These second week sales consisted of 21519 BDs (including BD/DVD combo packs) and 8039 DVDs. It’s already interesting enough to mention how non-frontloaded these sales were, though DBZ is possibly an exception to the norm for anime releases; it remained in the Amazon top 200 for 5 days of its second week out, while most other anime releases are lucky to keep out of 5-digit rank territory. The strength despite the lack of preorders also points to a possible heavy non-amazon bias for DBZ – its amazon versions were, at best, 86th and 677th in rank during the relevant week, yet it was 14th in actual total video sales overall. It’s very possible a large fraction of those copies were moved via b+m retailers. 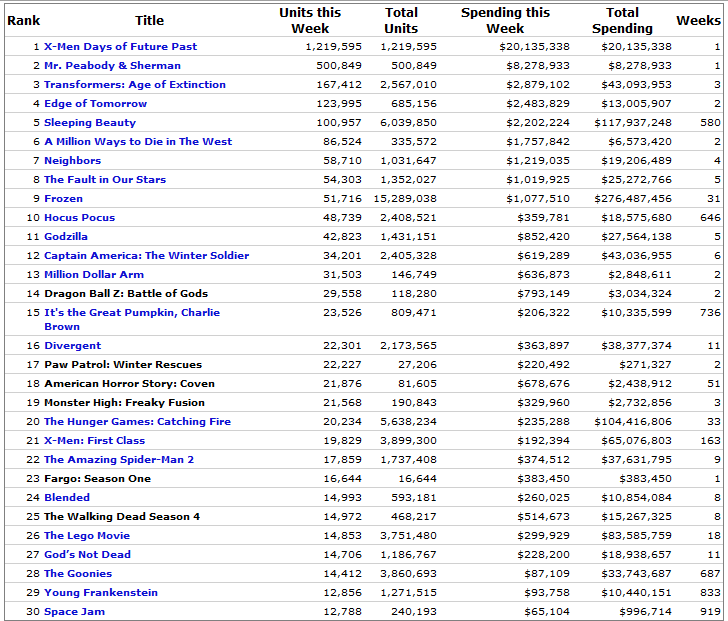 Screencaps of the relevant charts (which can also be found here while they’re available) are included after the jump. This entry was posted in Articles, Fun With Numbers and tagged Anime, Dragon Ball, Fun With Numbers by torisunanohokori. Bookmark the permalink.